Known by many online as the WordPress Wizard and the Coach’s Coach, Stephen B. Henry (Steve to his friends) has many years of successful business experience, including about 30 years online. He has hand-coded professional websites, including the first website for the Royal Bank of Canada, a large U.S. based membership association, and a multi-vendor ecommerce site. He has used nearly every major web builder software including PageMaker, GoDaddy, Weebly, and Wix, as well as a number of blog, forum, and ecommerce packages. But Steve’s experience and expertise runs deeper than just website development. Steve is a published author, speaker, instructor, and mentor. As an Online Presence Professional with expertise extends to a wide range of disciplines, Steve’s work includes social media, content development, inbound marketing, search and content marketing, search engine optimization, organic traffic development, and more. Steve (the Wiz) is your go-to guy for expanding your own online reach, increasing website traffic, and moving your online business forward. Steve offers a select variety of packages or individual project quotes for working one-on-one with a focus on your online business needs. Steve will spend time with you in order to help you get the best value and the solution that best suits your needs and budget. And whether you are at the very beginning of your online journey, or stuck somewhere along your path of success, get started, or re-started, with Steve’s help today! Our legal policy, disclaimer, and disclosure documents can all be found on this universal page on this website. The page you are now reading contains specific terms of service for activities involving personal and business website services, consulting, mentoring, training, courses, workshops, etc., provided through WizardsPlace. Use the links below to jump to the appropriate section as needed. WizardsPlace web services group offers a range of solutions for small and large enterprises, eBay sellers or anyone wishing to run a successful business with an online presence. Our design services range from auction site listing templates to full custom websites, blog sites with advertising revenue, and multiple page, content rich, turn-key business affiliate sites. We provide design critique and search engine optimization (SEO) reports about your existing website. Just getting started or not sure what to do next? Talk to us about small business consulting. • 50+ years combined small business, corporate and consulting experience. • 30+ years combined hands-on ecommerce practice and development. • 18+ years web design and website management. We endeavor to be fair and honest in all our dealings and we believe that a good contract is a win-win situation. We deliver on our promises and will work hard to satisfy all our clients. We believe good communication is important to every successful project. Equally, we expect payment on time. The following terms of service form a binding portion of any undertaking between WizardsPlace and the client. You should read them carefully and completely before commencing any project and/or making your first payment. Note: Your payment to commence a project indicates you have read and accepted these terms. For projects with a value of $200.00 or less, full payment is due in advance of work commencing. Projects with a value over $200.00 may be paid in two amounts; half in advance of work commencing and half when the project is substantially* complete. All prices are in U.S. dollars. Payment by PayPal (account: thewiz@ourhutch.com) is the only method unless otherwise agreed to in advance. Alternate payment methods which may be accepted include personal or business checks drawn on a U.S. bank, or a U.S. or International money order drawn in U.S. funds. Work will not commence until funds have cleared. Canadian residents/businesses should contact us in advance. We have other payment options available in Canada (and in Canadian funds). Projects on behalf of foreign clients are gladly accepted, however please contact us first regarding acceptable payment methods. They will vary depending on your location. This also applies to U.S. and Canadian residents living abroad. All payments, both U.S. and foreign, are non-refundable, so be sure you completely understand the nature of any project before you send funds. Unless otherwise specified, delivery of the completed work is via the Internet, usually by copying and/or downloading the finished work from our server to your computer. In some cases, as with a website for example, the finished work will be installed on our server or, in some instances, another server where it will be used. Note that not all products (ie: template filler form, etc.) are available for other server installation. Please be sure you have clearly discussed and resolved hosting issues with us. There may be additional charges or fees for installation other than on our server. Installing pages on your behalf directly on eBay, or a selling manager site, will require access to your account (I suggest changing your password during the project and changing it back when we are done) and will be charged at our standard hourly rate. Please consider this amount added to the original quotation if this is a service you will require. Although we typically maintain backup or display copies of any work for long periods of time, we do not guarantee to maintain a copy of any work beyond 30 days after final completion. If a copy is available, a replacement in case of loss will be provided at a nominal charge. A copy of the completed work can also be obtained on CD, delivered by first class mail, sometimes included with the original project or for an extra cost. If this is an extra cost item, please let us know in advance that you will want a CD copy and include the funds for this service with the initial project payment. None of these extra fees are considered a part of the total project cost allowing you to split into two payments for quotes over $500.00. Communication is of the utmost importance to the success of any project. We always reply personally to all emails and usually within twenty-four hours from when they are received. Like most people today we receive a large number of SPAM emails and it is sometimes possible for important messages to go astray. If we don’t get back to you in what you believe is a reasonable time then please resend your original email again or otherwise contact us. When contacting us by email it is best if you put WIZ, in capital letters, in the subject line along with a suitable actual subject. It is possible for emails with no subject to get missed. Including a subject something like: “WIZ: Our Website Project” will be sure to get our attention. Please contact us any time by email at: thewiz@ourhutch.com. We will gladly discuss proposals or on-going projects by email, telephone, Skype, or Zoom. Our phone number is available on our contact page or send us yours with a good time to call. All of our projects include custom design and hand coding that produces clean, efficient and effective results. Our custom work takes more time than out-of-the box cookie-cutter web design, but ensures a unique, professional presentaion for your business. We create each project individually as per the consultations we have with you and the input you provide. We treat your project with care and concern for quality, design and function. We promise to spend as much personal time with you and your project as needed to produce the results you expect. The functionality of our work is guaranteed for the purpose for which it is designed. Your input into the design process at the earliest point is very important. The more you can tell us about what you want your finished template, pages, website or graphics to look like, the better we can create the look and feel you desire. Sometimes you will have no idea of what the finished project will look like. We will work with you to determine a direction to take in order to produce satisfactory results. Template, page or website content can often be created for you by Our Hutch but is typically provided by the client. Page content usually means text but also includes images, banners and other graphics, and links. We will review any client-provided content for accuracy, errors and omisions, but responsibility for all content is solely that of you, the client. Although we will gladly make any minor changes required throughout the project in working towards your desired result, major re-designs towards a completely different look, after considerable time and effort has been spent on the original, may increase the project cost. Just like building a house, when the foundation and framing are in place, it is very difficult to change the room layout. You can provide the graphics you wish us to use. You are responsible for copyright. We can locate stock (public domain) graphics for direct use and/or manipulation. We can create unique graphics specifically for your project. Graphics can be selected from a number of licensed collections we maintain. Graphics can be created by, or licensed from, a variety of outside artists and other sources. We will gladly tackle any graphic project you might have. Please speak to us about your specific needs. Please see the copyright section below for details regarding ownership. In the unlikely event that any stock graphic we provide needs to be replaced for copyright issues at any future time, we will provide a suitable replacement at no additional cost to you. One of the more frequent questions we are asked is, “how long will it take?” Your project is important and we are committed to completing it within reasonable expectations. Good work takes time and relies on good communication and other factors. Please discuss any time contraints with us before the project commences. We will provide an estimate of completion before starting work on your project. We will notify you if the projects appears to be running long. A reasonable number of adjustments to things like color or font, may be requested throughout the project and up to 30 days after substantial completion*. These will be made without charge. Excessive or major changes, do-overs, and any changes, updates or additions requested after this initial period, will be billed at our standard hourly rate, by the quarter hour, and with a minimum billing of one half hour. Template filler forms, whether used with a custom template created by us or with a template of your own, require hosting on our server. This is due to proprietary functions in the coding of the “engine” that drives the filler form. 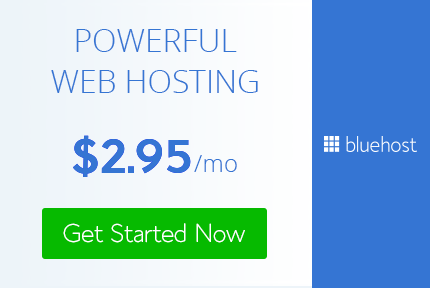 This hosting is billed separately for each twelve month period and is payable in advance. The first three months hosting is included in the filler form project price. Hosting and maintenance is extra for websites, though usually quoted for the first year in the original project price. Prices will vary with site size, expected transfer rate, number of scheduled changes/updates, etc. Please ask for a quote. We operate our own professional Internet server(s) with complete support for web hosting, file storage and transfer, email, webmail, statistics and more. We can offer individual control panel access to web hosting accounts or provide full management and support. We will gladly quote on any and all project needs. All work produced is covered under the copyright laws of the United States of America and all other signatory countries to the international copyright convention. When payment in full is received for your project you are granted an exclusive license to use our work, as designed, for your personal or business needs and within any usage terms specified in the project. All copyright of the coding, original design and graphics and any other copyrightable portion of the project remains with Our Hutch and Stephen B. Henry. No work produced by Our Hutch may be resold or otherwise distributed without permission. Stock graphics remain in the public domain and can, therefore, be used in any manner whatsoever. The copyright for licensed graphics remains with the originator and these graphics may not be used elsewhere. The copyright on all original coding and design components of the project is retained by WizardsPlace and Rev. Stephen B. Henry, PhD. Our “design by” graphic (see bottom of this page) and/or any other copyright notice must be retained on the work for as long as you continue to use it. You may not change or modify any Our Hutch created work without permission, nor may you use any such work as a design pattern for work you intend to produce and sell. Although our clients have found us to be very easy going and generally agreeing to any changes or other requests, we take our copyright position seriously and will take any legal action required to protect our proprietary property and other rights. It is a myth that items posted on the Internet are without copyright protection. You may provide graphics and other content for use in your project or even a complete template for inclusion in a template filler form. It is up to you to assure that use of such material is permitted. Copyright of such material remains with you or any other copyright holder. You are solely responsible for any claim that arises against any such material provided by you. You further agree that we may use any project work, including graphics, copyrighted or otherwise, provided by you, for promotional and/or display purposes to show and represent the kind of work we do. No compensation shall be offered to you for such promotional use, and we may continue to use the project work at any time even if you cease to use the work yourself or discontinue any service(s) we may otherwise provide. Our Hutch guarantees that all HTML and other coding used in your project will work correctly on the auction site or website for which it was made, and that it complies with all host site rules and regulations at the time it was created. Should any problems arise relating to these issues we will make suitable changes free of charge. If the host site makes changes to their site coding which causes your template, website or other pages to no longer work correctly, we will update any coding required to make the work compatible with the host site changes for as long as you use the material provided in this project, and without charge. Note: user-provided content (ie: description text, images, terms and link destinations, etc.) and user-specified or provided coding are not covered under this guarantee, nor are changes to provided URLs or links from image hosting sites. Should required services such as PHP or MySQL no longer be available at your chosen website host, you may be required to change hosts, at your cost, in order to use features reliant on these services. We also guarantee original HTML and other coding to be free from defect for as long as you use your template, website or other pages. Should any problems arise related to original coding errors, we will fix or recode the work free of charge. All HTML, PHP and/or MySQL coding or references used in your project work are compatible with these language standards current at the time the work is done. Changes to these languages subsequent to our work being completed are outside of our control and any problems resulting from such changes are not covered by any guarantee stated here or otherwise implied. Note that third-party content management system (CMS) packages, such as WordPress, Joomla, Drupal, and others, and their associated themes, templates, or plugins, are not covered by this guarantee. The same is true of all other third-party work obtained through or provided by others unless it has been directly commissioned by us. Due to the heavy front-end loading of the work provided, no refund of any deposit or other fees is offered once work has commenced. On multiple payment projects, each subsequent payment acknowledges that all previous work is satisfactory. If you have questions about this guarantee, or any other statements made on this page, please contact us for clarification. * Substantially complete means the point at which the project is ready for use and/or posting and is made available for electronic delivery or when it is ready to be installed on the hosting server.